For all of you who wanted to be at our launch in Brisbane, Australia, but who live or are travelling too far away, we invite you to send a short message, perhaps telegram style, that can be displayed or shared. It can be written, video, audio or artistic, it’s up to you. If you like it would be wonderful if you could – say something about where you write or read poetry. We will select a few to read or display on a screen or wall at the launch on October 30th. Depends what you send to us, whether it is a picture, video, audio, or short written message etc. as to how we share it. We’re hoping to soon share who the inspiring speakers are but we’re still working out exactly who they will be and what we might ask them to talk about, but it will be about the power and fun of poetry or something super interesting and inspiring. 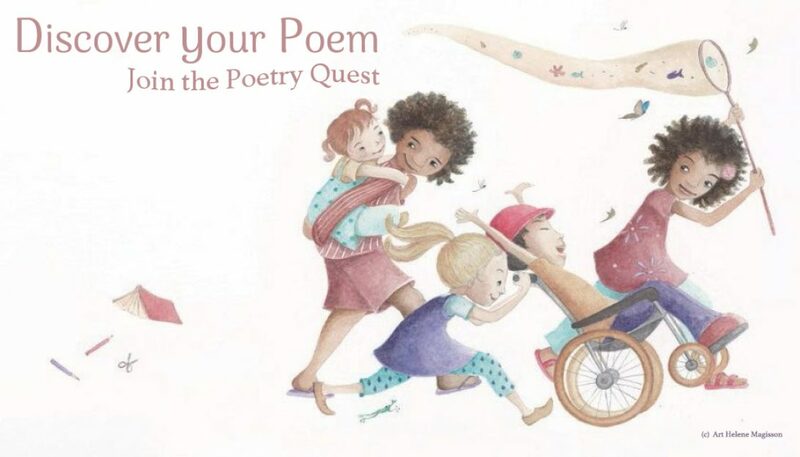 But it’s not really a day about speeches, rather it’s a celebration of the music of poetry with fun activities for young ones and grown ups who love poetry as well as some prizes and suprises. Some young musicians are going to play guitar and sing, and the rehearsals are sounding just brilliant. This submission is due October 25th. All is getting very, very exciting. This weekend we do the Big Draw at the State Library of Queensland! We will be sharing a sample of the book to a large audience of families and children alongside some other talented illustrators and authors. If you are a kickstarter backer, you will have received a survey in your email inbox. Could you fill it out with your postal address, which if possible should be a street address, so you can sign for the parcel when it arrives, but we do know this might not be possible to some country Areas of Australia or even for some of our international destinations. Thank you. If a street address is impossible please message us to work out the best way to deliver your parcel. We will let you know when they start to be posted. Our official launch announcements posters are almost done, and the program is still in development. The designer is busy, the final quotes for the printing job are on their way. June promises she will get back to all our preorder requests as soon as possible things have just gotten so busy here, and she is looking into a limited number of bookshop signings and stocking of the book in stores the team loves in the lead up to Christmas. We’re still looking to find a traditional publisher, so this will be for a strictly limited time. 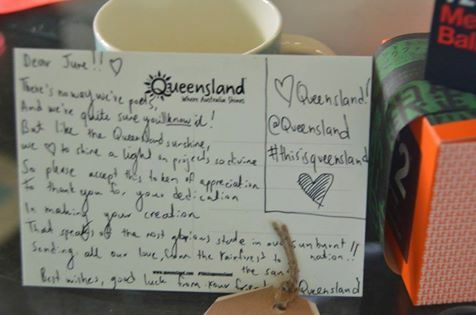 The dream is – a Far North Queensland event, back in the birthplace of the book! Our editor is flying down in a few months to meet the rest of the Magic Fish Dreaming Team. What a special event that will be. We hope we get to go see her in the Far North! A postcard received during the kickstarter. Example of one we have had sent in already! Thanks Danny.